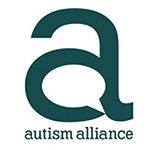 Autism Sussex provides and promotes personalised services, driven by excellence, forward thinking and progressive practice which enhances the quality of life of, children, young people and adults with an autistic spectrum condition. We are excited to confirm that, following months of hard work and commitment from both Autism Sussex and Pepenbury staff, the merger of both organisations has now been finalised. Members of The Board of Aspens Charities Ltd are delighted with the exciting opportunities this brings to service users and their families, staff, volunteers and supporters. We are now in the process of uniting to become Aspens Charities Ltd.
Children: Short Break Services, Activity Days, Living Skills Training, Residential Respite (Bexley).